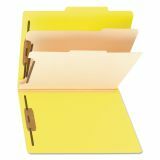 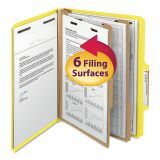 Smead Top Tab Classification Folder, Two Dividers, Six-Section, Letter, Yellow, 10/Box - Classification folders make ideal project files because they allow you to create subdivisions of material within one folder. 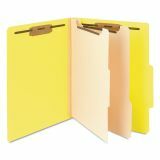 Fasteners on the front and back panels and the dividers create separate filing surfaces. 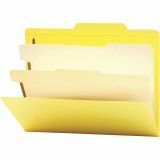 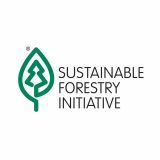 Keeps information sequentially organized and at your fingertips. 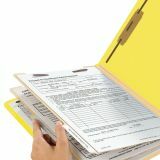 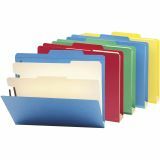 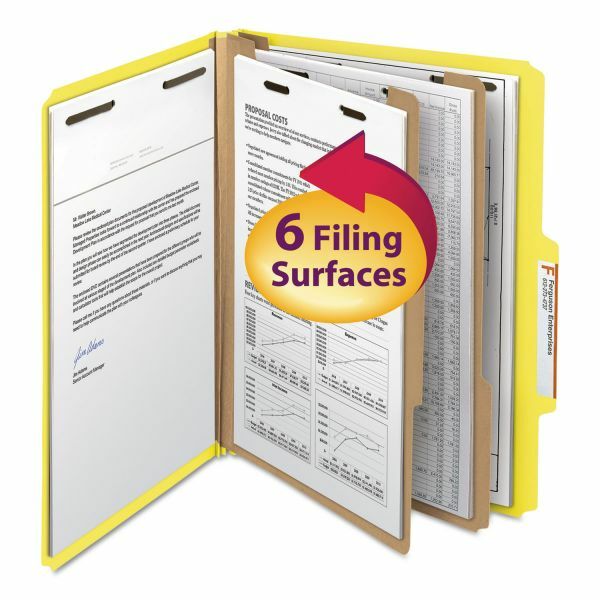 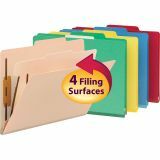 Folders offer a two-ply, 1/2" high tab (2/5 cut right of center); 2" expansion, rounded top corners in front and back and 2" prong "B" style fasteners in positions 1 and 3 (two per folder). 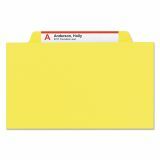 Made of 14 point colored stock with matching Tyvek tape. 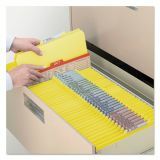 Dividers are made of 18 point manila stock and features 3/8" high tab (1/3 cut), 1" twin prong fastener, divider fully taped to gusset and fasteners on both sides of divider.